The latest "Captain America: Civil War" trailer has our spidey senses tingling. Disney and Marvel released a new trailer for the highly anticipated film on Thursday and the brief teaser gave us our first look at the new Spider-Man. "Hey, everyone," Spider-Man says as he leaps into the final frame of the trailer. 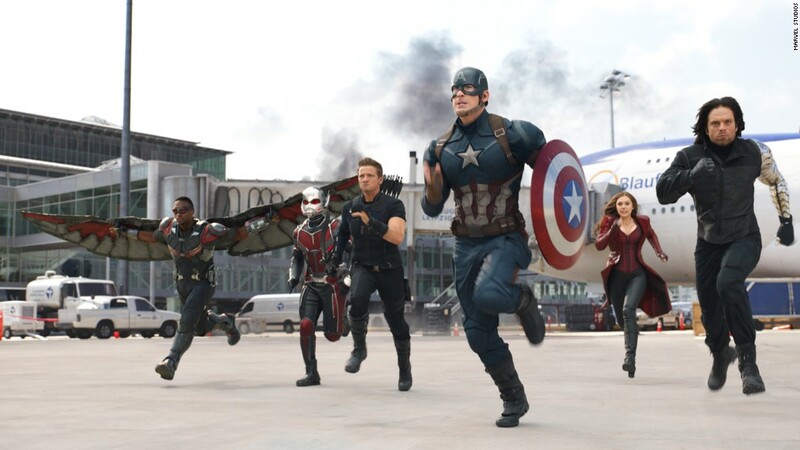 "Civil War" will be Marvel's first use of the character alongside other avengers like Iron Man and Captain America. The new web slinger will be played by 19-year-old British actor Tom Holland. The upcoming film will pit the two pillars of the Marvel cinematic universe, Robert Downey Jr.'s Iron Man and Chris Evan's Captain America, against one another and the trailer appears to show Spider-Man on Team Iron Man. "All right, I've run out of patience... Underoos!" Downey's Iron Man says as Spider-Man nabs Captain America's shield using his webbing. The new trailer goes more in-depth into why the two heroes find themselves on opposing sides. "I know we're not perfect, but the safest hands are still our own," Evans' Captain America says over images of Marvel heroes like The Winter Soldier and Black Panther fighting it out. For years, Spider-Man had been the property of Sony Pictures Entertainment, but last February the studio made a deal with Disney and Marvel Studios to bring the character into the cinematic universe. Holland was announced as the new Peter Parker/Spider-Man in June. He will be making his first appearance in "Civil War" and then a new Spider-Man film will be released in July 2017. Reaction on social media was a bit mixed with some fans bummed that Marvel gave away the spidey surprise before the film opens. Yet, others were overjoyed to see everyone's favorite neighborhood Spider-Man enter the fray. 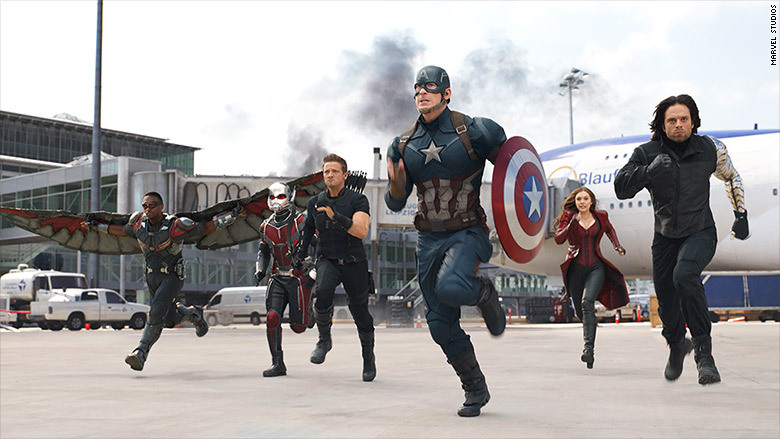 "Captain America: Civil War" swings into theaters on May 6.